For the TV show, they also backed many performers, from Fats Domino to Ricky Nelson. At a live gig in Fredericksburg, VA, attempting to work up a backing for The Diamonds’ “The Stroll”, they came up with the stately, powerful 12-bar blues instrumental “Rumble”, which they originally called “Oddball”. The song was an instant hit with the live audience, which demanded four repeats that night. Eventually the song came to the attention of record producer Archie Bleyer of Cadence Records, who hated it, particularly after Wray poked holes in his amplifier’s speakers to make the recording sound more like the live version (see “Rocket 88” for Ike Turner’s similar story). However, Bleyer’s step-daughter loved it and it was released despite his protest. She was the one who suggested renaming the song “Rumble”, because it reminded her of West Side Story. Rumble is slang for a “gang fight”. More often than I am asked what show to see in Vegas, I am asked what Cirque show to see. People who want to see Phantom or Penn & Teller don’t need me to tell them. Those shows are known quantities. People just need to read the show names from time-to-time in Vegas to be reminded they are here. Same with Celine and Elton. 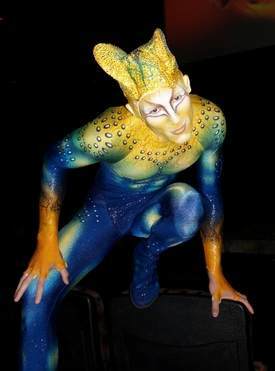 But while Cirque has gone to great lengths to market all of their shows as different, the truth remains Cirque has certain qualities that assert themselves in all of their productions. Surrealism, acrobats, and an unmistakable overall sensibility. People ask, if they can only see one Cirque show which one should it be? So, here are my choices and reasons for which Cirque show to see. 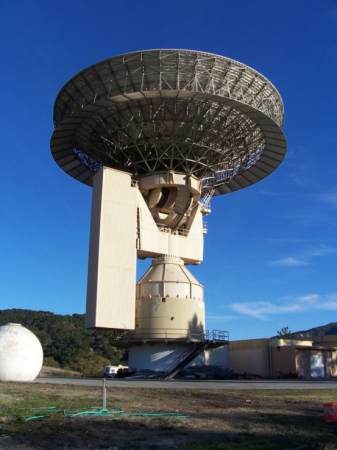 A chance reading of a “for sale” advertisement in a weekly newspaper has launched a group of 30 space history buffs on a mission to save the 30-meter Jamesburg AT&T/Comsat satellite dish about an hour from Monterey, Calif. The dish was built in 1968 to support the Apollo 11 moon landing a year later. Besides its commercial duties, it also played a role in capturing and distributing images of the 1989 Tiananmen Square protests, says Pat Barthelow, an avionics technician from Sacramento who first noticed the ad in the Carmel (Calif.) Pine Cone and quickly put out the word. More on the dish here.